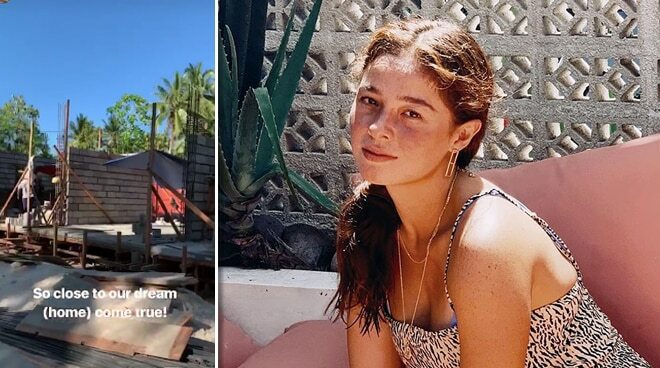 From Baler, actress Andi Eigenmann has moved to Siargao Island, where she and her surfer boyfriend Philmar Alipayo will soon be having their own dream house. Currently, the 28-year-old star is pregnant with her first child with Philmar, which she announced early in February through her Instagram Stories. Andi has another daughter, seven-year-old Ellie, from a previous relationship with Jake Ejercito. 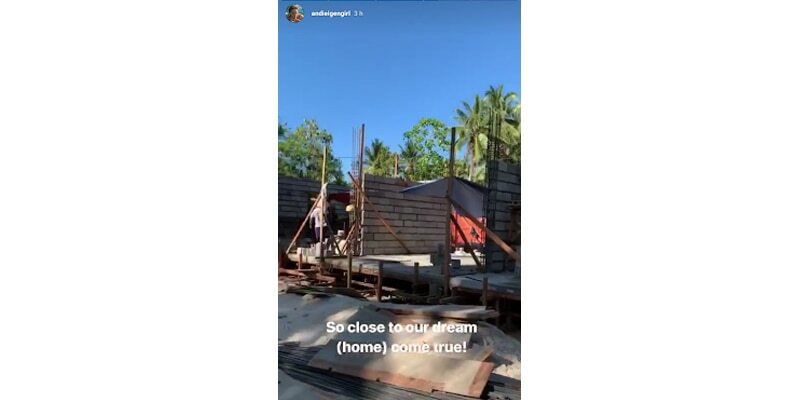 Last Tuesday, Andi took to social media to share a sneak peek of their project home in Siargao. “So close to our dream (home) come true!,” she wrote across a clip showing the nearly-complete construction of their house. Andi left the city life in 2017 when she transferred to Baler, Aurora to make her dreams of a simpler lifestyle come true with Ellie. She would later meet Philmar, who is apparently a star of sorts in Siargao, during a vacation in the island. "Nung first time ko siyang na-meet ay nilapitan ko siya at nagpa-picture ako kasi siya iyong number one sa Philippine surfing last year. Ever since we would talk and chat,” she revealed in a previous interview on late night talk show Tonight With Boy Abunda.